Lots to let you know about this month - with several items requiring a response so read on! 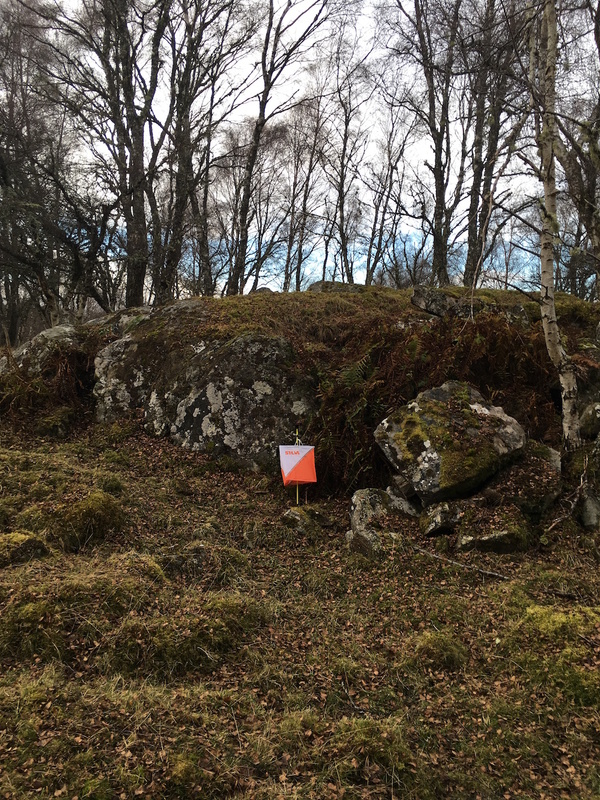 Rather than listing all the orienteering opportunities, the Scottish Orienteering Fixtures calendar is a very useful way of planning what events you want to go to. If you are away in another part of the country, why not have a look and see what is on? As well as events, all the BASOC Tuesday training appears! Other clubs will often welcome you to their training, contacting them first is a good idea. After Easter, BASOC is putting on a series of coaching events for newcomers. We start with sessions in schools on 25th and 29th April and will then have Tuesday evening coaching sessions running alongside Tues=O in Nethybridge on 30th April, 7th & 14th May. We would also like to have plenty of club members available at the event at the Folk Museum in Newtonmore on 19th May to make newcomers welcome and answer basic questions; as usual, everyone who offers to help can also have a run (see next item for more information). We have people to run all these sessions, but if you're interested in helping out at any of them, please let Mehmet know. We don't need you to commit to all of them - any help is appreciated, particularly at the event on the 19th May. Entries for the individual are now open here on SiEntries , with entries closing on Sunday 12th May. Club Captain Ann McGougan is coordinating relay entries. If you are going and would like a relay run please contact Ann by Friday 26th April. BASOC is involved in Day 3 at Dundurn (St Fillans, Loch Earn). This is an interesting area of mixed woodland, moorland and flat areas (easiest courses). A bonus is the Starts are close to assembly. Please get back to Jo if you, or friends, can help that day as we are short of people to do the Parking and String course. These are BASOC's responsibility. The planning is complete and control sites taped – Duncan and the rest of the planning team have been hard at work over the last few months. Day 3 is also a World Ranking Event so separate Elite courses have been planned. Moravian have controls out in Roseisle - MAD (Moravian Athlete Development). Links to the maps. Moravian invite BASOC members to join them at the Planning and Condes workshops they are running. "... because the only thing more satisfying than finding obscure map features with orange and white flags on them is getting others to try to find the ones you put out." If you would like to join in the fun of planning courses please sign up for Alan Halliday's planning and Condes workshops. All welcome including keen juniors and those who don't (yet) have an event to plan for. No experience necessary. Recent requests for folk to take on some Tuesday evening sessions have produced some positive responses – thank you – but sadly not enough to make a significant difference to the workload currently on me. Ten years ago, when I began the weekly sessions, I could run round putting out enough controls in less than an hour, but it takes me longer now! I will therefore be making some changes. I still believe that weekly sessions are crucial for improving your technique, as well as the social aspects, so that regularity is the last thing I want to change. For a while we had some sessions with “virtual controls” (ie. no kites out); I will be reinstating this from June, probably having 1 session a month with actual controls. For the others, it can greatly improve your technique if you really do have to think about where you are, you don’t just run to a kite – and this format might be more attractive to other planners, who don’t necessarily have the confidence to place controls! Other changes might have to follow. In the meantime, please talk to me (Hilary Q) with offers of help, suggestions or comments. If we don't have the size or item you would like please let me know and when we have enough interest we can put in an order. It is worth trying on items before buying as some people find the size they usually buy is too small, especially if they want to be able to wear something underneath. Hoodies: we have none in stock. They come in purple or black with the club logo (around £19 depending on how many we order). Contact Jo if you would like to buy any BASOC club kit! BASOC individuals have volunteered in the past to marshall at the Aviemore Triathlon. We have received an email from Durty Events, asking if anyone is interested / able to help this year. “I am currently looking for volunteers to marshal at Aviemore Triathlon, the your Club have previously helped at our events and I wondered if they would be interested in helping us again? The event takes place on Sunday 25th August 2019, we are looking for volunteers to assist between the hours of 7.45am and 2pm at the latest. We are happy to make the a donation of £50 per head to your club for supplying marshals at this event. We will of course also provide a t-shirt and lunch to all our volunteers. The Junior Inter-Areas are due to take place on the weekend of 9th-10th November in Deeside. Unfortunately, the North Area Co-ordinator has had to pull out and so we are looking for someone who can co-ordinate coaching activities for the weekend. We're currently waiting for a full description of what the role involves - it's what Jess used to do, if you think back a couple of years. If we (northern clubs) can't find anyone to take this on, it's likely that the Junior Inter-Areas won't go ahead this year. Is anyone potentially interested in taking this role on? If so, please get in touch with Gemma as soon as possible for more information.